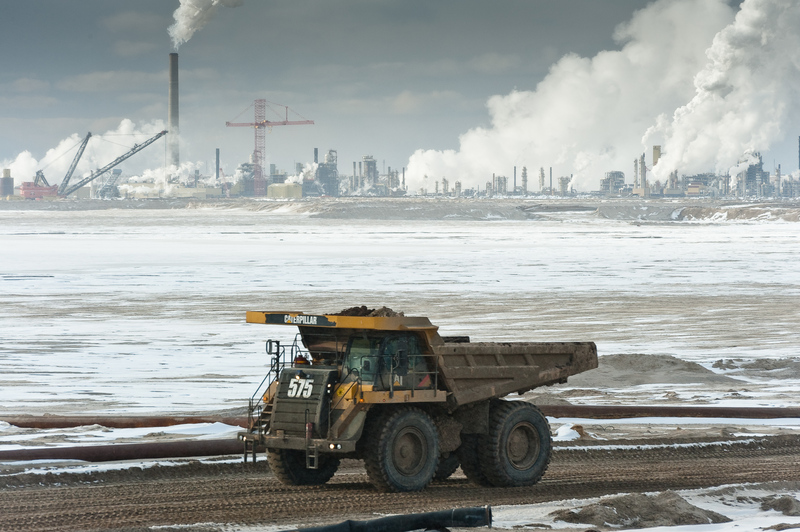 Tar Sands, March 2010. Syncrude frozen tailings pond and Mildred Lake Upgrader in background and dumptrucks. Athabasca Tar Sands, Alberta, Canada.